One of the inmates who broke out of the Santa Clara County Main Jail the night before Thanksgiving pleaded no contest Friday to charges of escaping from jail and destroying jail property, both felonies. 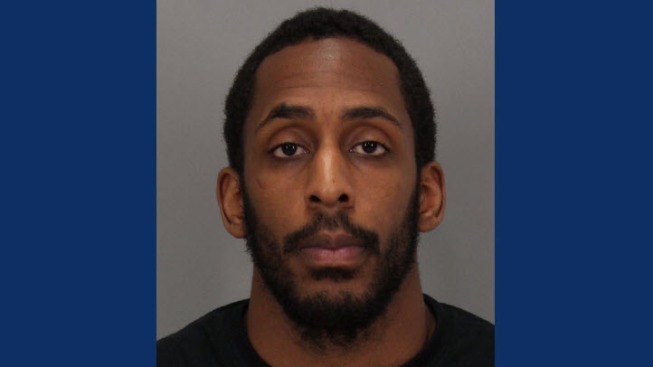 Laron Campbell sat quietly in the San Jose courtroom as he faced charges related to the Nov. 23 escape, as well as sentencing for a numerous prior conviction, including felony burglary and robbery. Campbell and three other inmates escaped by cutting through bars of a jail window. The 26-year-old Campbell was later caught hiding at his sister's home in Antioch. Judge Daniel Nishigaya sentenced Campbell to 16-months in prison for the escape and an additional concurrent sentence of 16-months for destroying jail property. The judge said the sentences were determined by a formula that included Campbell's three-strikes status and prior convictions. Prior to issuing the sentences related to the escape, Nishigaya slapped Campbell with a total of 46-years, four months for two armed home invasions, one in Fremont in August 2014 and another in Cupertino in November 2014. Then, the judge hit Campbell with another 16-months for an attempted residential burglary in Palo Alto in April 2014. Nishigaya showed little leniency because, as he put it, Campbell's actions in the crimes were planned out and targeted homeowners who were vulnerable at the time, such as a break in at night while they were asleep. Campbell was taken back to jail after sentencing. Prosecutor Anne Seery told NBC Bay Area she was pleased with the sentencing. "I'm very happy that Laron Campbell will be held accountable for what he has done," she said. "And I commend the Santa Clara County Sheriff's Office and its deputies for recapturing him so soon." The other inmate who successfully escaped, but was eventually recaptured, Rogelio Chavez, was scheduled to enter a plea Friday. His hearing was continued to Jan. 19.